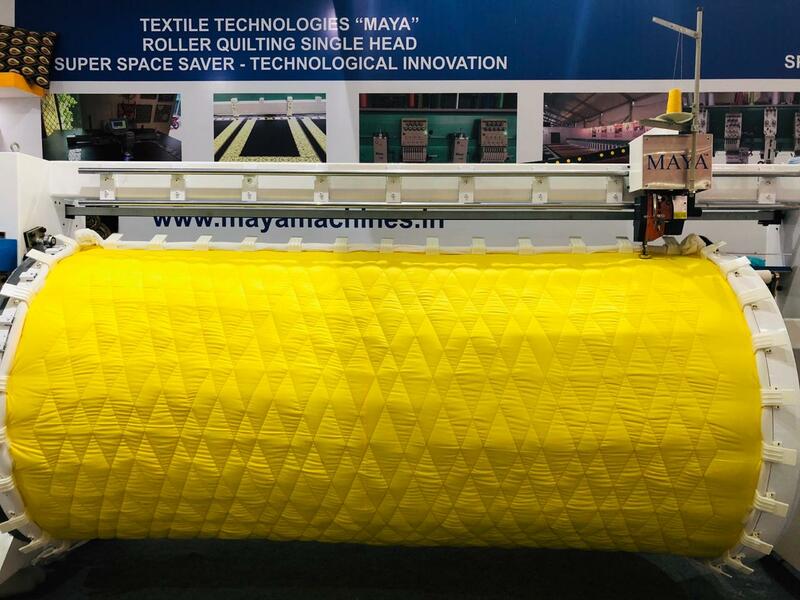 Maya, specialised in quilting machines is exhibiting roller computerized single needle quilting machine at Garment Technology Expo 2019. The machine is marketed as a super space saver where the quilt sizes can be customised. The machine specialised in quilt and mattress, quilts automatically according to patterns chosen under control of the computer. Other than this latest one, the brand also has computerised single-head quilting machine and computerised quilting and embroidery machine. The roller quilting machine driven by servo motors features auto head lifting, forward and reverse quilting, adjustable stitch, output count and back zero function, pattern browsing function and more. It has the maximum speed of upto 2000rpm.